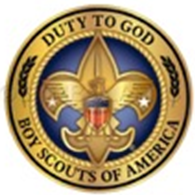 Duty to God BSA – Showcasing resources for Duty to God and a Scout is Reverent. Give back to Scouting by volunteering for the National Religious Relationships Committee or on a project-by-project basis. Looking for Robert Baden Powell quotes for services? Check here for some of our favorites. Add other quotes in the comments. Can you attend the World Jamboree as a Chaplain? Apply today. Cataloging resources for Duty to God and A Scout is Reverent, check out the National Religious Relationships Committee’s website. What Does Duty to God Mean? What does Duty to God mean? How do you explain it to your Scouts? View bios for all past National Duty to God Award Recipients.